Eggs - those amazing little things which are such a vital part of baking. Whole eggs, egg whites and egg yolks are used in different ways for varied results. Apart from lending flavor and richness, whole eggs work as leaveners and help bind the batter. Eggs whipped to a volume are the sole leaveners in foam cakes like genoise and fat less sponge. Egg yolks lend richness, emulsify and thicken batters and custards. In some recipes, egg whites can be used to replace whole eggs if you want to lower the cholesterol in the bake. They are simply whisked with other ingredients to make tuiles and macaroons while they are whipped to peaks to make meringue cookies, pavlova, chiffon cakes, mousse cakes, ladyfingers, French macarons and more. Magical right? Here are some bits about eggs you may find useful. 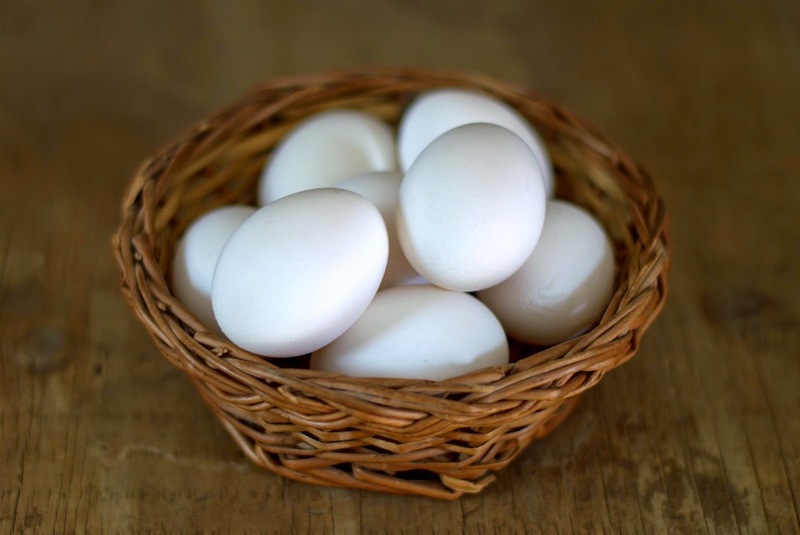 One large egg weighs 48 grams (without shell), one egg white 30 grams and the yolk 18 grams. Since the weight of eggs may vary even within a given grade, weighing them is the way to go. We do not have any kind of grading here in India, so all the more necessary. If a recipe does not mention the size or weight of eggs, you can take the above mentioned weights. Unless otherwise specified, eggs should be at room temperature when you use them for baking. Take them out of the refrigerator about an hour ahead if needed. If a recipe ingredients list has 'Eggs, separated' it means you will be using the whites and yolks separately. Separating eggs in order to get clear egg whites and neat yolks comes with practice. In recipes where you need to whip egg whites to a volume, it pays to be paranoid about separating eggs without a trace of grease. In other cases you can get away with pretty decent results as it does not matter. Whites do not whip stiff enough and to the best volume if there is yolk or any other kind of grease. This will affect the texture of the cake or cookies which is not what we want of course. You can separate eggs quite easily at room temperature, but it is easier to separate them when they are cold. If the egg whites are cold, you can warm them by putting the bowl of whites in warm (not hot) water. Warm whites are OK for whipping. While separating eggs for whipping whites, it is better to have a few more eggs than you think are needed. You don't need fancy tools to separate eggs, messy hands are good enough. OK, egg shells (no messy hands) if you are dexterous enough to juggle the yolks between two shells. Whites first! Given a choice I would prefer to whip whites at right at the stage needed. If you will be using the hand mixer for making the batter as well whipping whites, it is better to whip the whites first and then mix the batter. Unless you have an extra set of blades, it would be very annoying to stop in between to clean and obsessively wash the blades halfway through the recipe. You will need to have everything else ready before you do this as the whites lose volume quickly. Older or aged egg whites supposedly work better in recipes like French macarons. The eggs in this case can be separated a day or more ahead and refrigerated covered. This is specially useful where sugar is not used in the beating step to stabilize the whites. Cream of tartar : This whitish powder helps stabilize whites and also avoid over whipping. The ideal proportion according to Rose Beranbaum is 1/8 teaspoon for each white, use more and the whites won't whip! 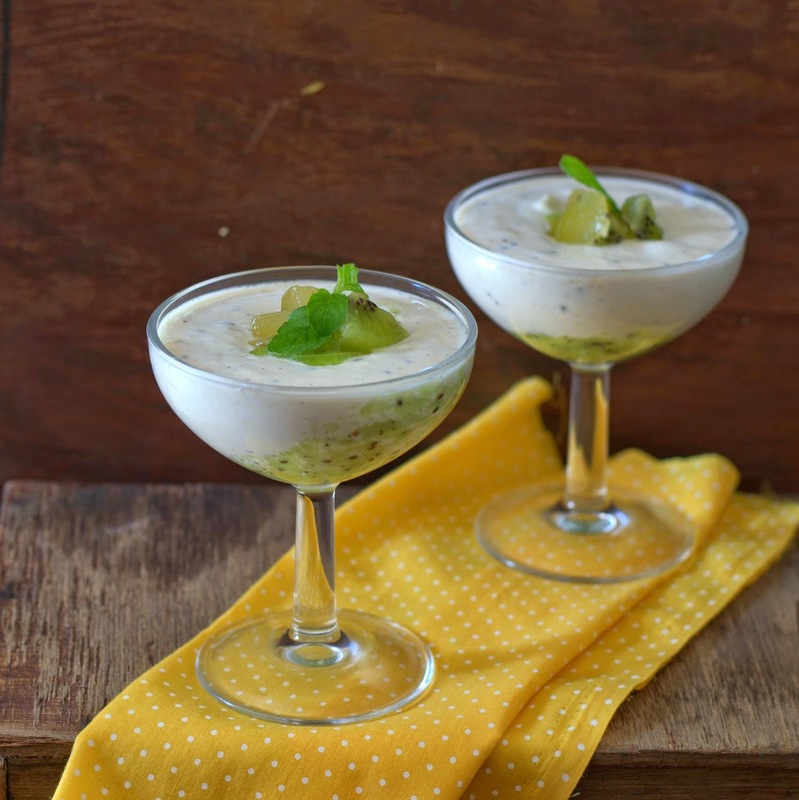 If you do not have cream of tartar, try using fresh lime juice in the same quantity. 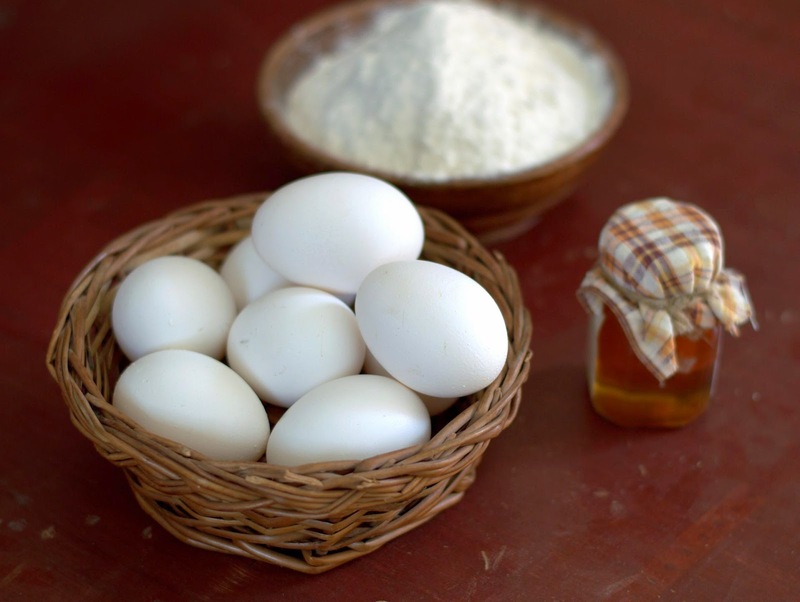 Storing: Egg whites can be refrigerated for a few days. Supposedly freeze well for at least one year! Thaw overnight in the refrigerator. I may not want to risk meringue or chiffon cake with them, but should be good enough for macaroons? Egg yolks may also be frozen, but with 1/2 teaspoon sugar per yolk stirred into them to prevent them from becoming sticky. But you must remember to subtract this sugar from the recipe later. 2 egg whites replace 1 whole egg in recipes which allow the substitution. Using yolks : You can use them for home-made custard, fruit curd and baked custards in a hundred flavors. I am so tempted every single time I separate eggs! Egg whisked with a bit of water and then brushed on breads and other bakes gives them a gorgeous golden color. This is called egg wash. Egg Substitutes: Unashamedly I admit, am quite biased about using eggs in baking as I love the taste the texture it brings! You can bake without them too using appropriate substitutes. But you may not be able to substitute in all recipes or replicate the texture. So be careful, better to try egg less recipes rather than trying to substitute in one with eggs. Common egg replacers : Depending on what role the egg has to play in the recipe - make it rise or bind or just provide richness and moisture, you can try substituting. So you can't obviously bake a genoise or an angel food cake or chiffon cake without eggs. Commercial egg replacers : Ener-G and Orgran are two brands I have read about. These supposedly work great. Cornstarch : 2 tablespoons cornflour mixed in 2 tablespoons warm water to replace one egg is something I have used a couple of times in cookies and pancakes. Flax seed : 1 tablespoon flax seed powder mixed in 3 tablespoons warm water, let sit till it is viscous. This replaces one egg. It has a nutty taste so use in a recipe with nuts. Yogurt : 1/4 cup thick yogurt in place of 1 egg. Works in breads. 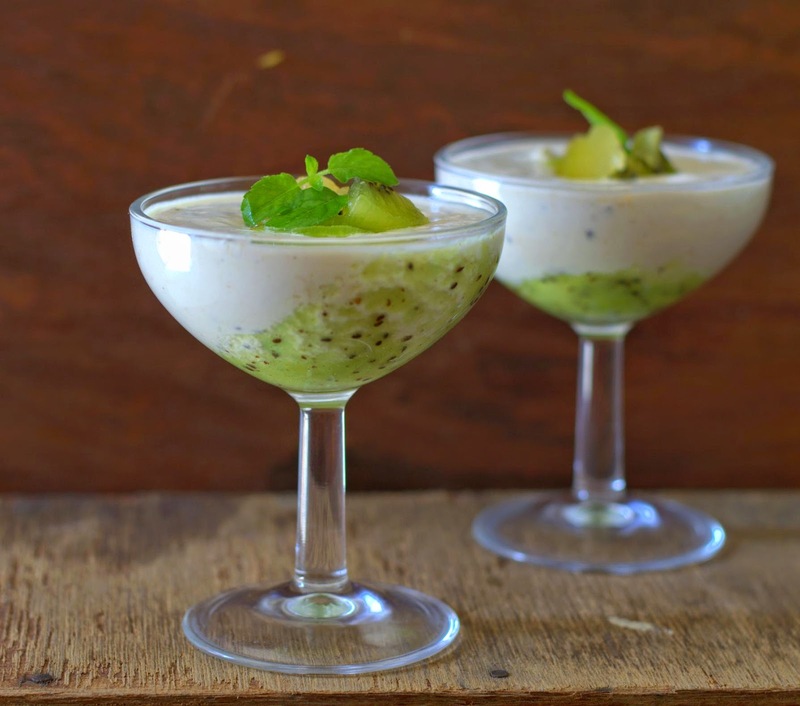 Fruit puree, pureed tofu and vinegar are other substitutes commonly used, but within parameters again. Be sure to check these links when you want to try eggless recipes or substitutes. You can also subscribe to my channel on YouTube - BAKING FOR BEGINNERS. Click to subscribe now! Look at me, am excited about a crumble! I hope you don't remember exactly how many times I have declared that you may never see a crumble or crisp here. What's not to like in these desserts you may wonder. For one, I don't quite like the texture or sweet-sour taste of overcooked fruit. And then the crumble bit. Is it as crisp as it is meant to be? Crumble veterans will want to throttle me for over-dramatizing, I just may just not have got it right so far. Hope you will still humor me? 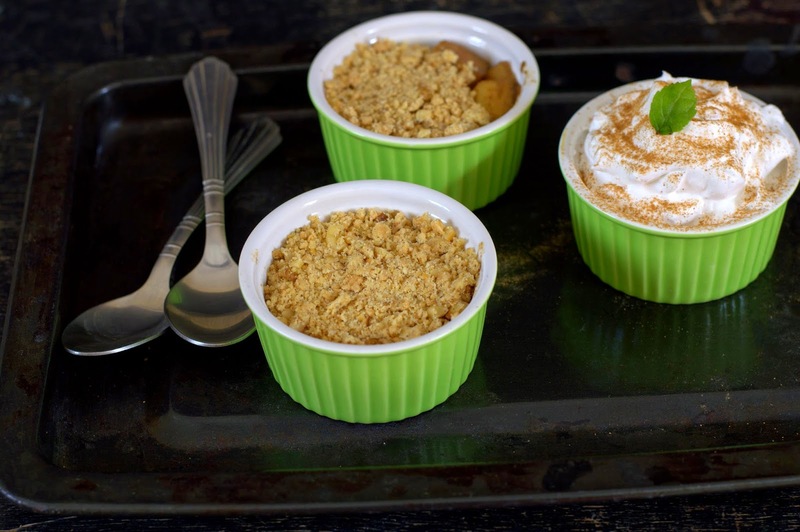 If a crumble is new to you, its typically fresh fruit like apples, pears, berries and the kind tossed in sugar, butter, vanilla etc, piled into a baking dish. On top of this filling goes the crumble topping - mostly flour, chilled or melted butter and sugar made along the lines of a pie crust. 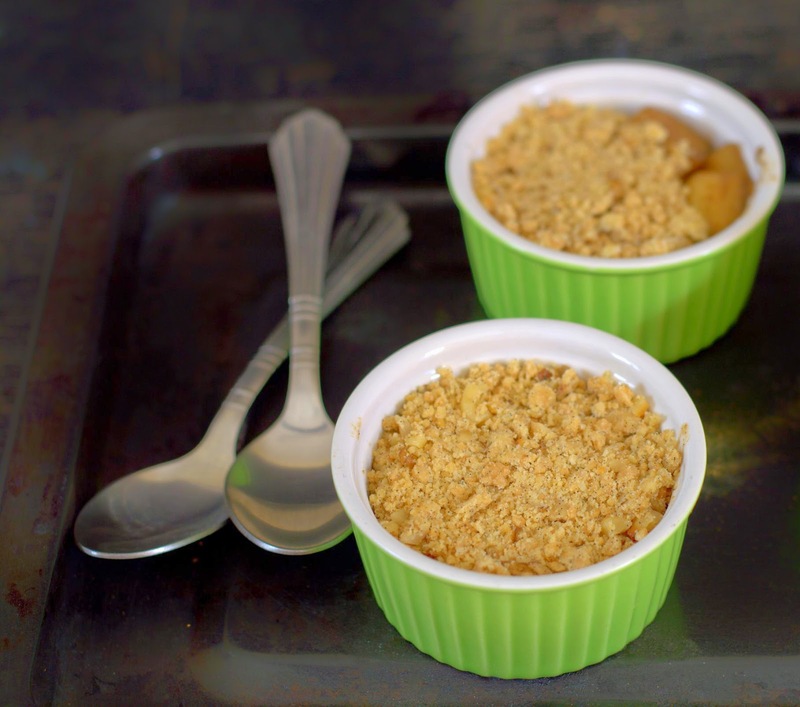 The crumble is then baked till the fruit is all bubbly and the top is golden and crisp. Apparently works great for many, but then you know there are folks like me as well! Tempted by pumpkins, apples and warm spices, contemplating another go at a crumble, I came across this recipe. 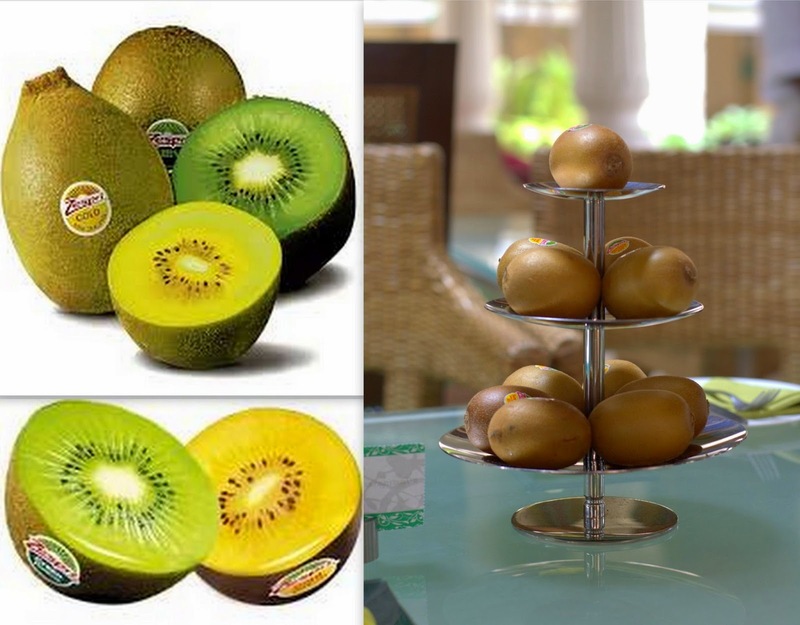 The fruit and the topping are cooked separately, then put together later. The answer sometimes is very obvious, but it takes a Raymond Blanc to hold it to your face. Am so glad! 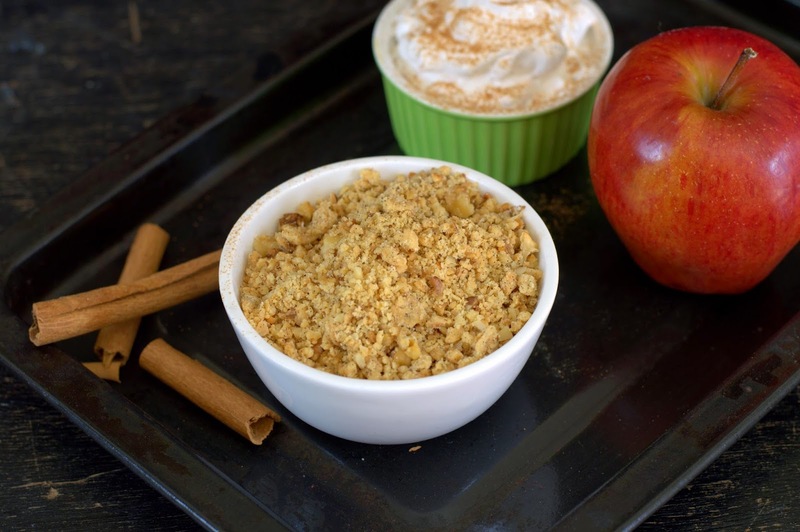 While this may not be the conventional way of making a crumble, you will find it perfect to make for people with varied tastes. Just the right amount of fruit you want, cooked just right. The topping baked until nice and crisp, just the right amount of it sitting on the warm fruit. 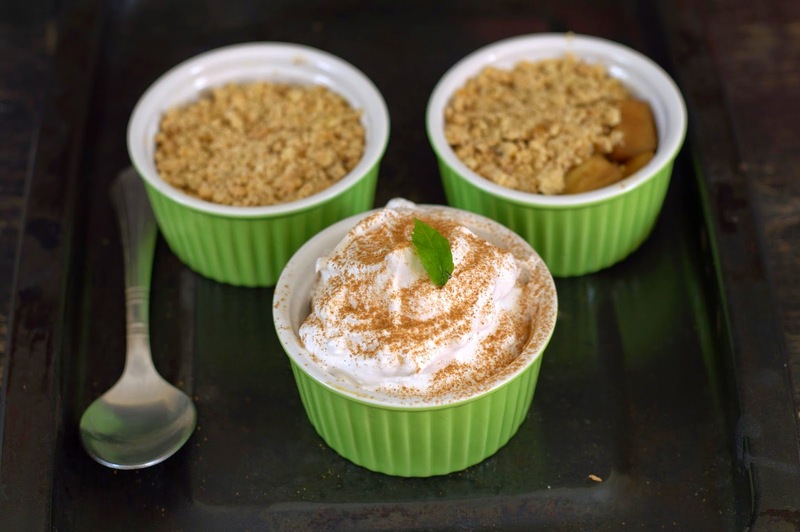 Top it with ice cream or whipped cream and you have your crumble, just the way you want it. And your spouse, kids, neighbors and guests can have it just the way, they want it! For the apple filling. This is just a rough guide, please go by your taste and preference. To make the topping : Sift the flour and sugar. Rub the vanilla caviar into this. Cut the chilled butter into the flour mixture till it resembles bread crumbs. It will seem dryish, but do not add any liquid. Be sure you cut in the butter well enough so that there isn't any dry flour visible in the mixture. I like doing this on my kitchen counter, using my metal dough scraper. You may find a food processor handy here. Do not over work the dough or the topping will be heavy. Refrigerate it covered for an hour or more. Pre-heat oven to 190 C / 375 F. Line a 9'' square or bigger tray with parchment. Transfer half the chilled mixture to the tray. Press it down very gently, spreading it in an even layer. Bake for 10-15 minutes, making sure you flip the mixture once after 8-10 minutes. The baking time will depend on the thickness of the layer, be careful not to burn. The top may look light in color, but the bottom layer would be almost baked. You want this to be crisp and golden when done. Once cool, the topping will crisp up. The mixture will break when you flip, that's fine. Carefully bake a minute or two more if needed. Cool, break up the topping as you like it, I like largish bits. Stir in the walnuts, store airtight till needed. For the filling : If baking this for the first time, you may want to cook a tiny portion of the apples first to test what you like best. Assemble: Spoon some warm apple filling (with the juices) into ramekins. Top with as much crumble as you like ( I like lots, like half and half! ), scoop some ice cream over it. Serve immediately. Please note : If you add berries like in the original recipe, you may not want to add more liquid like water or juice as there would be enough released from the fruit. The cornflour is to thicken the juices slightly. If you have baked the crumble topping much ahead, check once before serving. You may need to bake again briefly if the crunch is lost. Blamed on frequent tasting and letting in some winter air into the container. Think wicked ahead. It may not be a bad idea to bake the topping and stash it in the freezer for dessert emergencies. Briefly bake to restore crunch if needed. We have a long winter ahead, just being prepared. So, the way I made it sacrifices the visual appeal and charm of the fruit juices spilling over the sides. But I think I will live with it. This, for now at least, will be the only way a crumble will be made in my kitchen. You could try this with your favorite topping recipe, but do share it with me! Syrupy warm fruit with texture, lots of light crisp topping, vanilla ice cream melting over it. Think I like it!